FULL DISCLAIMER- I KNOW NOTHING ABOUT RAE DUNN LOL, I KNOW ITS A POTTERY LINE AND ITS ALL THE RAGE AT THE MOMENT AND THAT IS ABOUT IT. When I made my cassette tape ornaments back in the summer I knew I wouldn’t dare toss the cases, they make great gift card holders. 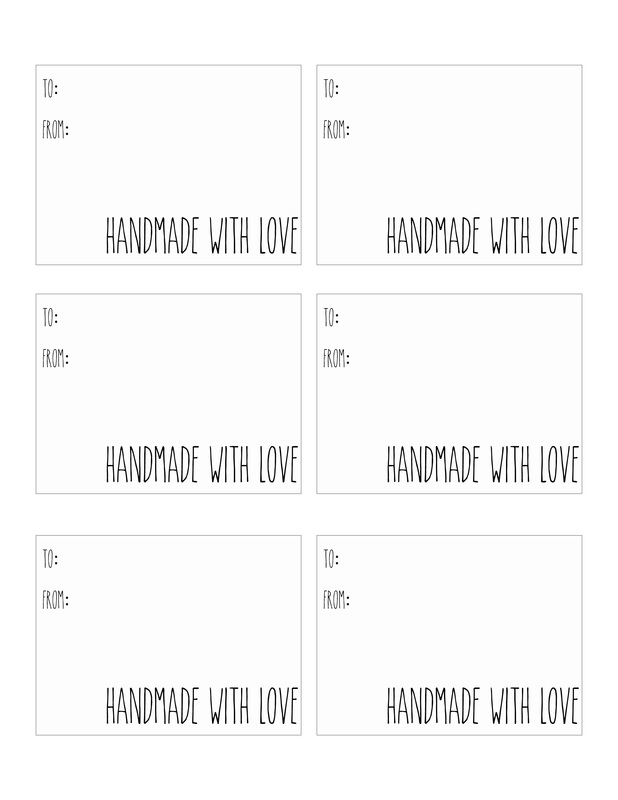 However I wanted to take the upcycle one step further from gift card holders, I thought how cute would they be made into mini signs for shelves etc. These were a work in progress right up until now as I write this up. I started at first by painting them with dark grey chalk paint planning on doing little faux sign print outs to achieve a wooden block look. I wasn’t happy with the look once I printed some off and assembled them, and then I thought ok paint them white and do the “dunn” look. If you’re like me and don’t know what the Rae Dunn look is all about simply Google it or search it on Pinterest and Instagram. There is tons of inspiration for “Rae Dunn” inspired this and that, locally a lot of the online market places are selling Dunn inspired ornaments, and not very cheap I might add. I’m not simply making these because the look is popular, I truly enjoy the look of black and white and the simplicity of the fonts. I’ve popped a bunch of these through out our home in different little spaces. Today pictured below is a thrifted shelf Hubz and I purchased in October,re-stained and painted it to be used for seasonal miniatures, on it are a few of these tape case Rae Dunn inspired signs. The shelf is a work in progress as well for the winter season, I will share the complete project soon. I didn’t know I would be painting these when I purchased the first lot for the tape ornaments but in a hurry learned when I went back for more after painting all the first ones that you need to make sure the cases are all smooth surface edges. Some of the cases have a textured surface on the edges, not great for achieving a faux wood look. 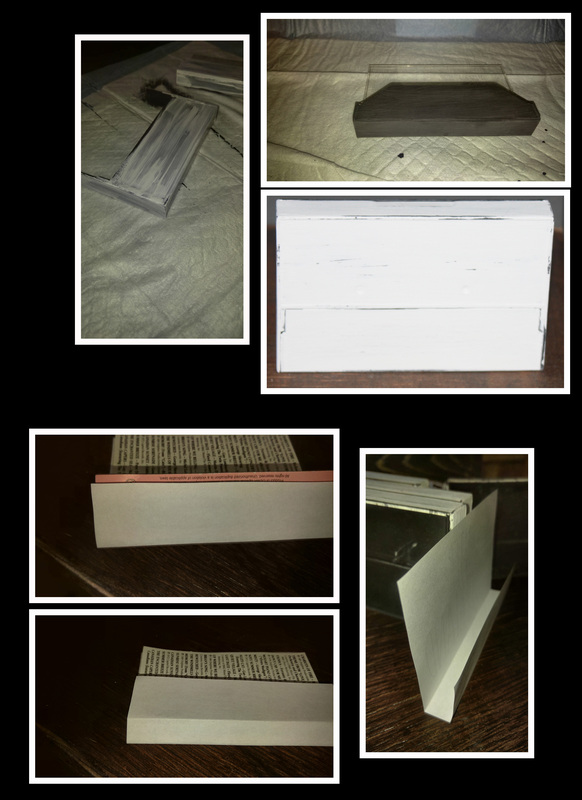 I havn’t done any black cases but I assume that it would just help with the grey chalk paint coverage. Gently pry the case apart, so you have a front and back, set aside the cover insert you will need it later. Now take some dark grey chalk paint and paint all your sanded pieces once, when its dry lightly sand and paint a few coats of regular white craft paint over it. Once the white is dry, sand to distress, it will surprisingly start to look like painted and distressed wood. Blow and wipe out your front piece of any paint dust. I slipped a piece ove paper into the case front as I sanded it to help with dust, after having to clean the 1st 10 with no paper lol. 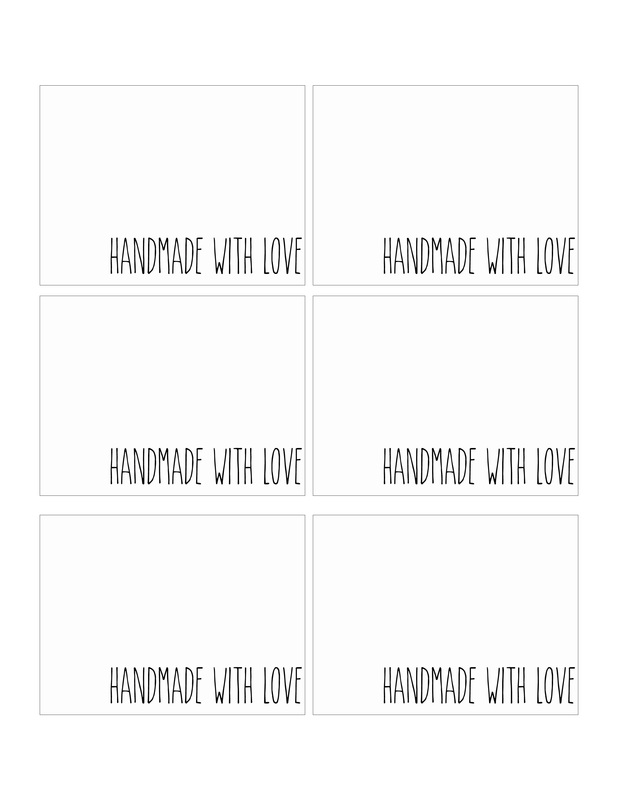 Now simply print your choice below, make sure fit to media (page) is not selected is my best advice but as each printer is slightly different play with paper size settings etc, I suggest A4 size selection if it is an option. Once they are printed they should be the size of the tape cover insert you saved. Worst case is center the original insert over it and trace around it. With your print out cut out place it face down and then the tape cover face down on top of it. So you want the back of the print out and the front of the original cover insert to be facing each other. The bottom may not line up and that’s ok make sure the insert top edge is aligned with the print out top edge. Fold both the print out and the cover at the folds in the cover upwards to create your print out insert. Once you have the fold lines rub them down well to create a nice fold line. Pop them in and your ready to add. 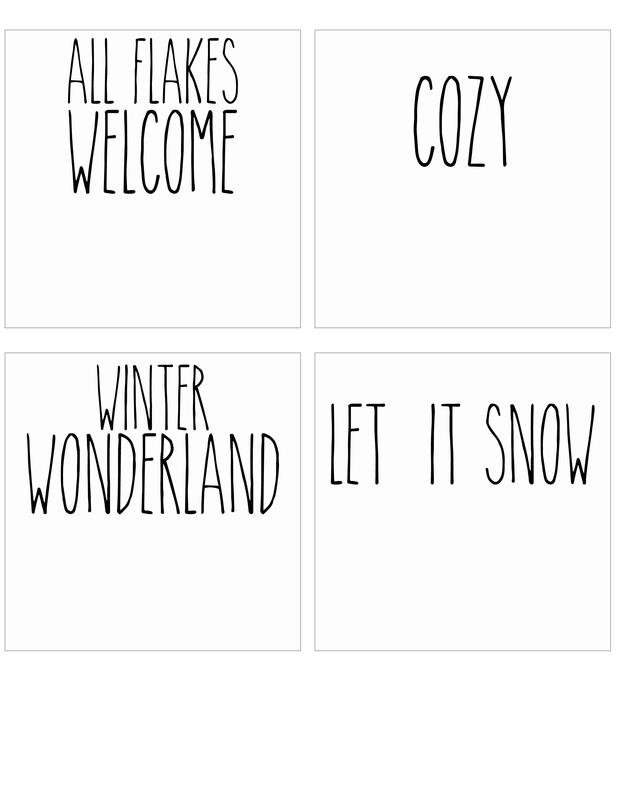 some fun modern Dunn inspired signs into your décor. Best part with these you can change out the printouts with each season and holiday, I may have to do some in black for next Halloween. 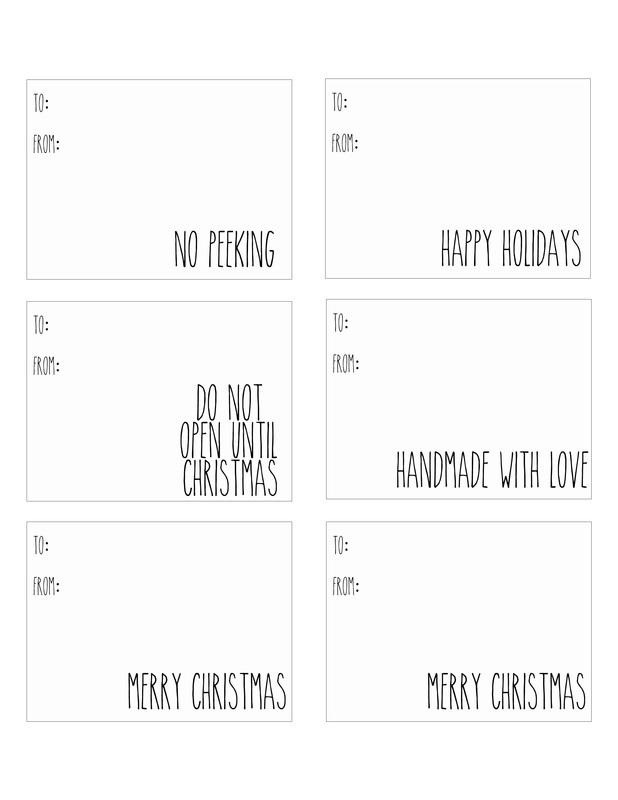 BELOW THERE ARE ALSO SOME GIFT TAG PRINT OUTS THAT YOU CAN PRINT ON PAPER OR CARDSTOCK. 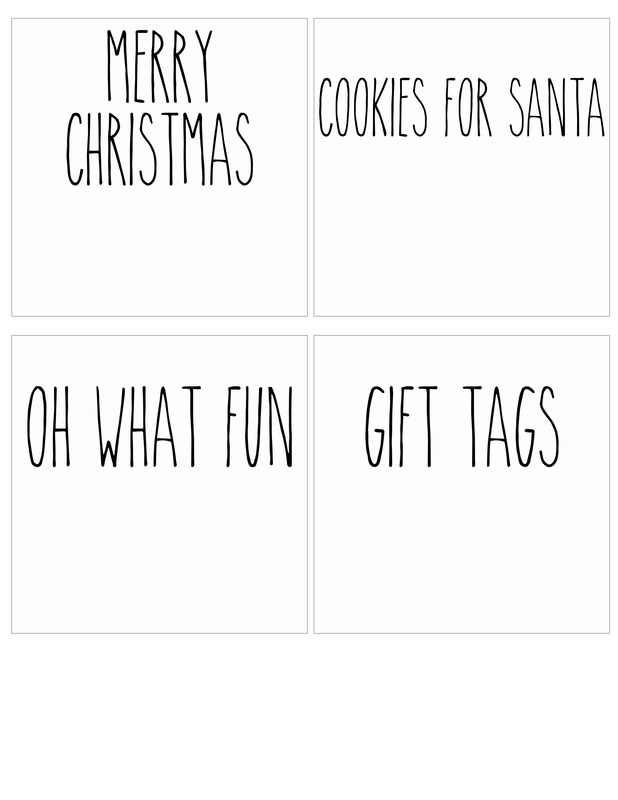 USE THE “GIFT TAGS” INSERT AND MAKE A TAG CASE. 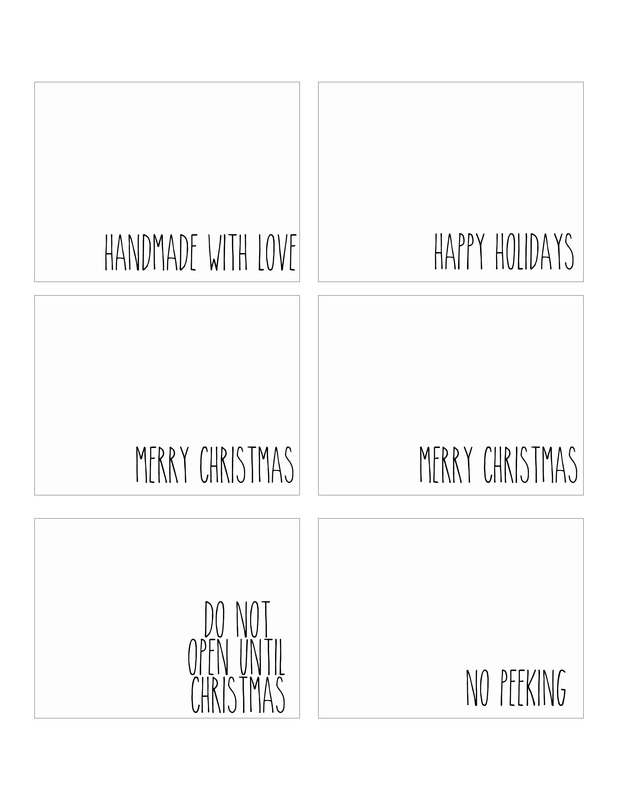 I MADE ONE TO HOLD SOME OF OUR HAND MADE TAGS THAT I’LL BE SHARING SOON. Stay tuned for some ideas on how to use the cases as gift card holders. THis is such a great idea. 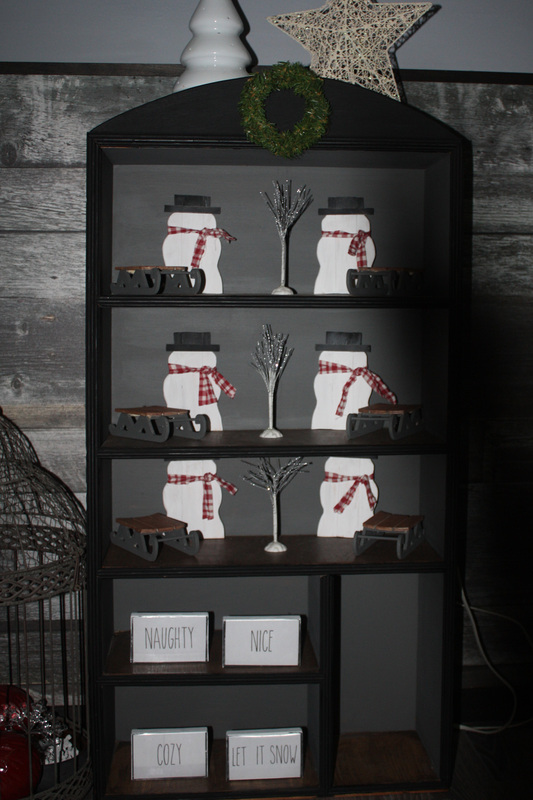 Love your display too with all the snowmen. Always like two contrasting colors together. Latley I really enjoy partly stained partly painted pieces. The shelf is a little more full now…will have it shared next week on a thrifty tuesday. It was suppose to be more dollhouse like but I love how it turned out anyway. Im not even sure its available in Canada lol.